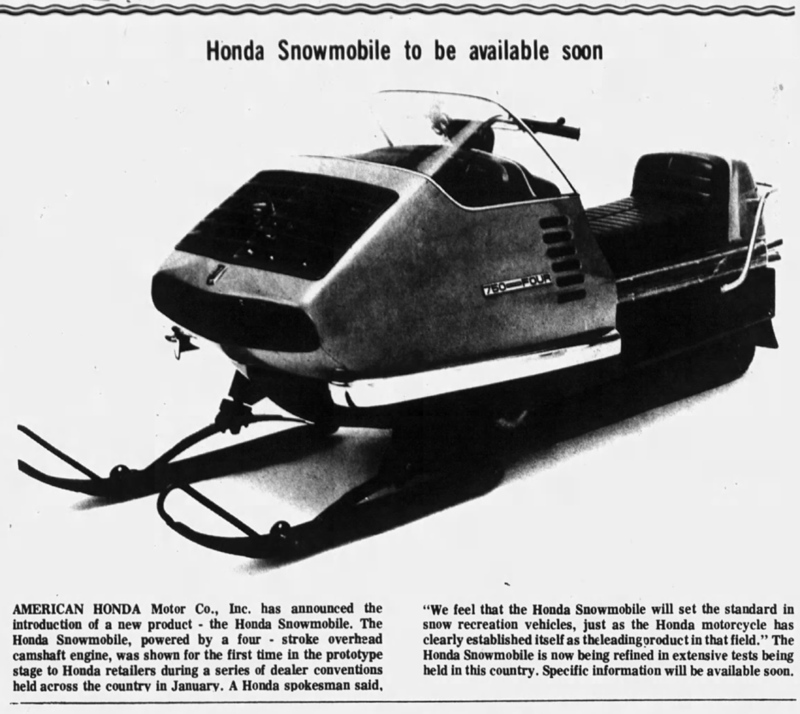 READ THIS ARTICLE CAREFULLY ABOUT 1971 HONDA SNOWMOBILES. ACROSS HISTORICAL INFORMATION THAT I NEVER KNEW. 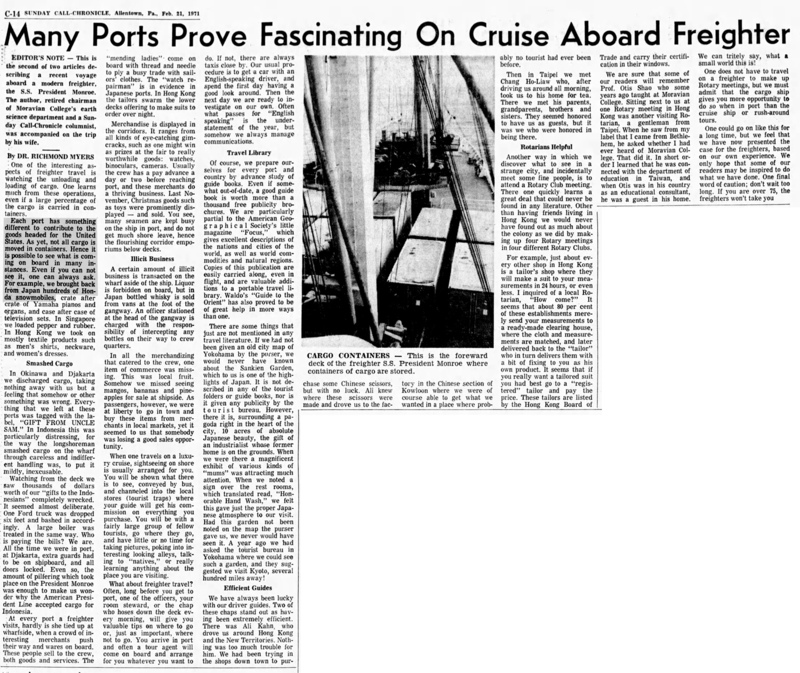 THIS NEWSPAPER ARTICLE IS FROM FEBRUARY 4, 1971. THAT MEANS THIS INFORMATION WAS GATHERED EARLIER AND PUT IN THIS 1971 NEWSPAPER. LOT OF IT IS DIFFERENT ON THE INTERNET AND IN VINTAGE SNOWMOBILE MAGAZINES. CONCEPT IDEA BUT IT WENT NO FURTHER THAN THAT. IN JANUARY 1971 AND NOT FEBRUARY 1971. THEN IT SAYS, IT IS NOW BEING REFINED IN EXTENSIVE TESTS BEING HELD IN THE USA. IN NUMBERS THAT WOULD ALLOW DEALERS TO TRY THEM OUT AND WRITE REPORTS ON THIS SLED. 1971 HONDA 4 STROKE SNOWMOBILES WERE PRODUCED AND WERE ON A CARGO SHIP HEADED TO THE USA. THE FACT THAT THIS MAN SAID HUNDREDS, THERE MUST HAVE BEEN A LOT OF THEM THERE.